Made with Heath English Toffee. 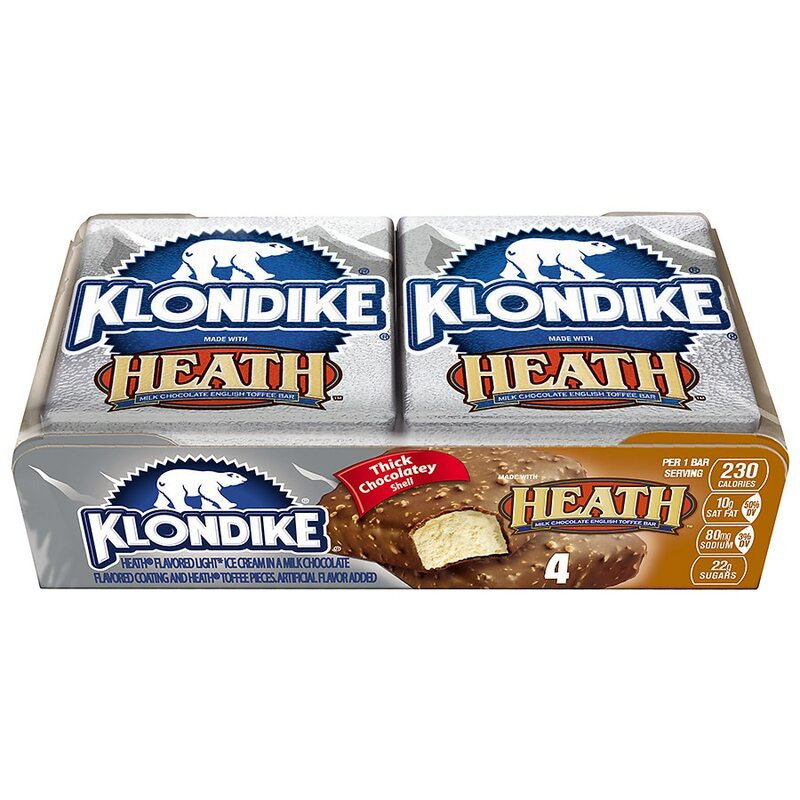 Heath flavored light ice cream with milk chocolate flavored coating and Heath toffee pieces. Artificial flavor added.